Helsinki, the capital of Finland is a small, but beautifully formed city, with wide handsome streets and boulevards with plentiful parks. The Finnish operating environment is stable and predictable and Finland is the only Nordic country with Euro, plus it has a low corporate tax rate, at only 20 %. With access to top high tech talent and a Silicon Valley inspired business culture, Finland is an R&D hotspot and a testing ground for companies looking for business transformation. What’s not to love? Once you arrive at Helsinki Airport, the train connection between Helsinki city centre and the airport takes about 30 minutes. There are two services: train I and train P. Schedules, ticket prices and routes are available at HSL website. There are no unusual restrictions on what you can bring into Finland, but just in case, check their list first. 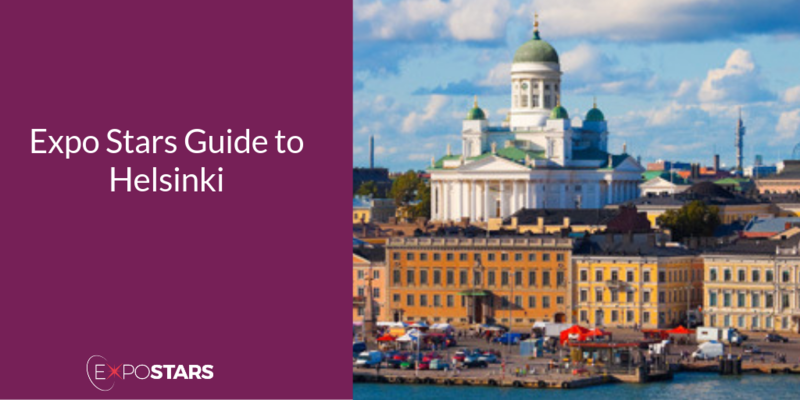 Helsinki sits on a granite peninsula on the north coast of the Gulf of Finland, facing the Baltic Sea. Suomenlinna - The fortified islands of Suomenlinna are a part of Helsinki. Market Square - The Market Square (Kauppatori) is the main planned and paved square in central Helsinki, and is one of the best-known outdoor markets in northern Europe. Sandro - Colourful Moroccan ceramic plates are piled high with an array of salads ­– think chickpea with carrots and beetroot, jewelled couscous and tabbouleh, and pickled cauliflower with crunchy toasted almonds. Juuri - Try grouse with birch, chargrilled swede, little salty fried fish – vendace – with creamed potatoes, and beetroot mousse with roasted goat’s cheese. Local currency is the Euro - it’s the only Scandinavian country to use it. A visa may be required to visit Finland if you are not in the Schengen zone. Check the list to see if it applies to you. Plug sockets are the typical two prong ones you find throughout Europe. Finns are considered modest, honest and reliable. They place great value on words and mean what they say. In business meetings Finns take punctuality very seriously and expect you to do likewise; call to explain if you will be more than five minutes late.